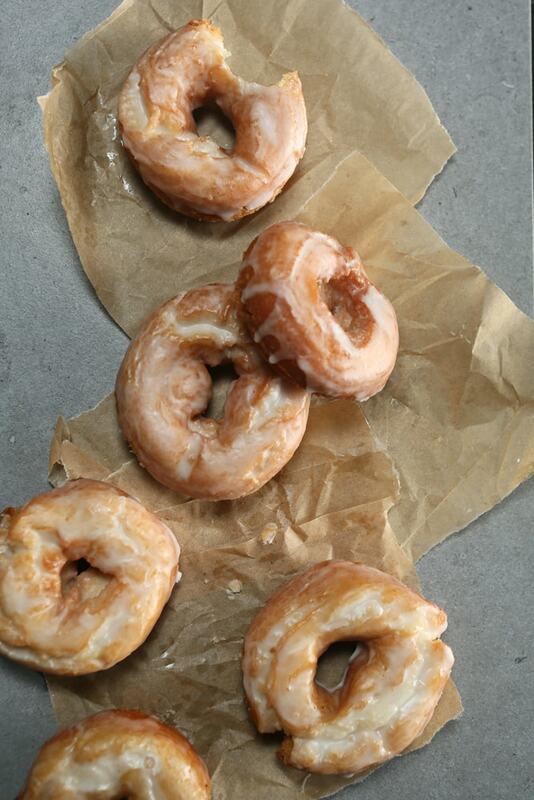 Shannon Mercado of South Carolina’s Circa Doughnuts revolutionizes the beloved basic. WHEN THE IPHONE ALARM GOES OFF AT 5 A.M., Shannon Mercado awakens and heads to a commercial kitchen she rents to singlehandedly make sixty dozen of her signature “doughnz” (pronounced “doans”). Crafted and fried by hand in small batches, they’re sold under her brand name Circa (Latin for “around”), and they’re in high demand at coffee shops, juice bars, and various pop-up locations in her hometown of Greenville, South Carolina. 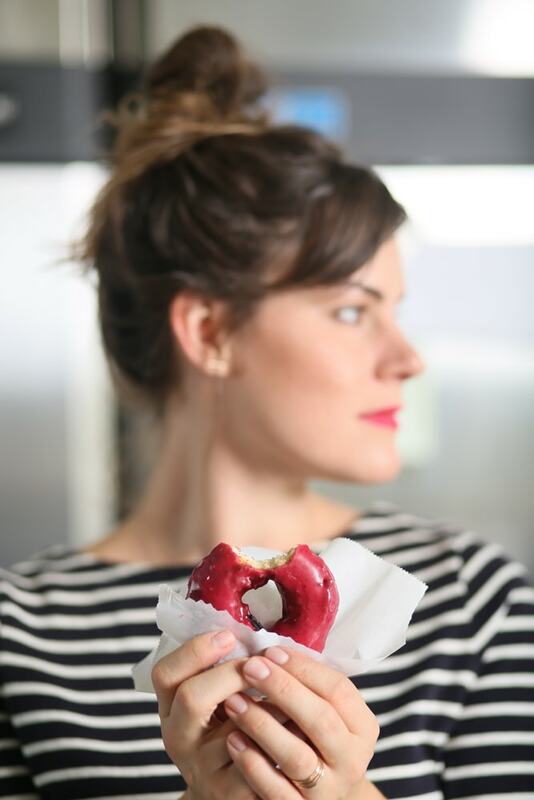 It’s not the vibrant Instagram presence, playful doughnut names (like Jack Sparrow, Earl of Doughnz, and Strawberry Crack), or even the gluten-free counterparts to all her regular versions that draws crowds. The icing on her fried cake is that her flavors are remarkable. That Jack Sparrow? A mouthwatering, dense, cakey, sour cream doughnut shrouded in buttered-rum glaze and topped with toasted coconut tangles. The Earl of Doughnz turns the notion of the breakfast staple on its head with a sophisticated combination of charred grapefruit inside the dough and a charred grapefruit, Earl Grey tea, honey, and cardamom glaze. Strawberry Crack is aptly named; it’s an addictive strawberry- compote doughnut with a tangy balsamic-reduction glaze and a finishing sprinkle of black pepper. Such heady flavor combinations would impress on a four-star restaurant’s dessert menu. But these come out of the mind of a twenty-five-year-old experimental home cook who found her route to the dough business as many young entrepreneurs do—by sheer accident. Growing up in Phoenix, Arizona, Shannon frequented plentiful mom- and-pop doughnut shops. But in 2013, upon moving to Greenville, she bemoaned the fact that she couldn’t find any satisfaction. hours north of Charleston, Greenville has recently become one of the New South’s culinary hot spots. Home to burgeoning foodie and tech cultures, it’s luring millennials away from big cities with its easy, affordable lifestyle and welcoming attitude toward “makers.” The lack of doughnut options was puzzling. With no professional culinary background, Shannon first thought baking would be too precise an endeavor. 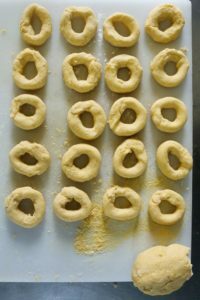 But in early 2014, she began crafting doughnut recipes to reproduce her favorite—the classic cake-like sour cream flavor of days past. After researching for hours online, she tried numerous combinations, experimenting until she landed on what tasted exactly right. After winning approval from taste-testing friends, she displayed her first batch in the summer of 2014 at a brand new Saturday farmers’ market—and sold out in thirty minutes. In fall 2014, she added gluten-free variations, which, like the originals, start with subtle crunch and lead to creamy dense interiors and astonishing layered flavors. 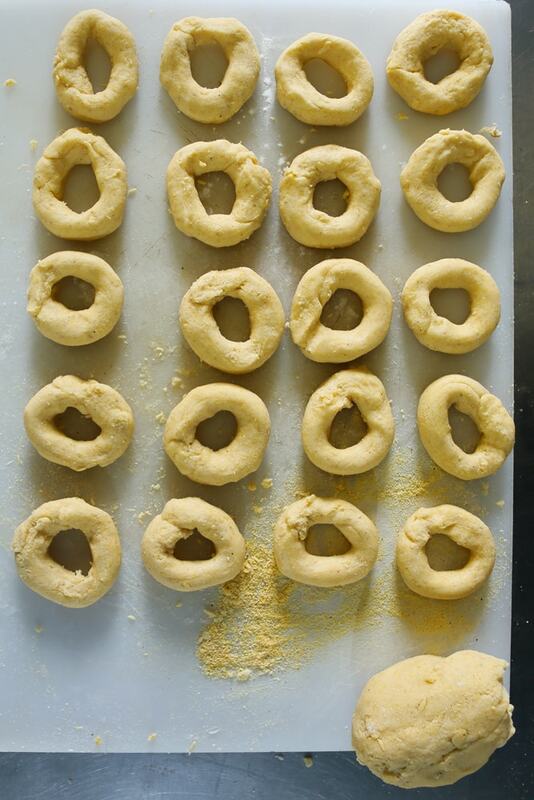 Shannon credits cornmeal as the secret to making her gluten-free doughnuts just as good as her regular versions; since gluten-free dough has different properties when frying, this surprise ingredient results in better texture and helps imitate the expected exterior crunch. Ironically, the fan favorite is still the Vanilla-Glazed Old-Fashioned Sour Cream Doughnut, but customers also happily pay $3 for the spectacular and exotic Pink One (hibiscus and berry with a hint of navel orange), sweet-and-citrusy Lemon Poppyfields Doughnut, and Latin-inspired Abuela Doughnut. As a former employee at a web design and software development company, Shannon is so adept at Facebook and Instagram that she relies exclusively on them for her marketing and distribution efforts. Her delicious, visual posts let customers know where to find her fifteen flavor combinations, which continually rotate but feature locally grown herbs and are always free from preservatives. The proverbial saying “whatever goes around, comes around,” couldn’t be truer in Shannon’s case: Her first customer at her farmers’ market debut is now her fiancé. Want the recipe? 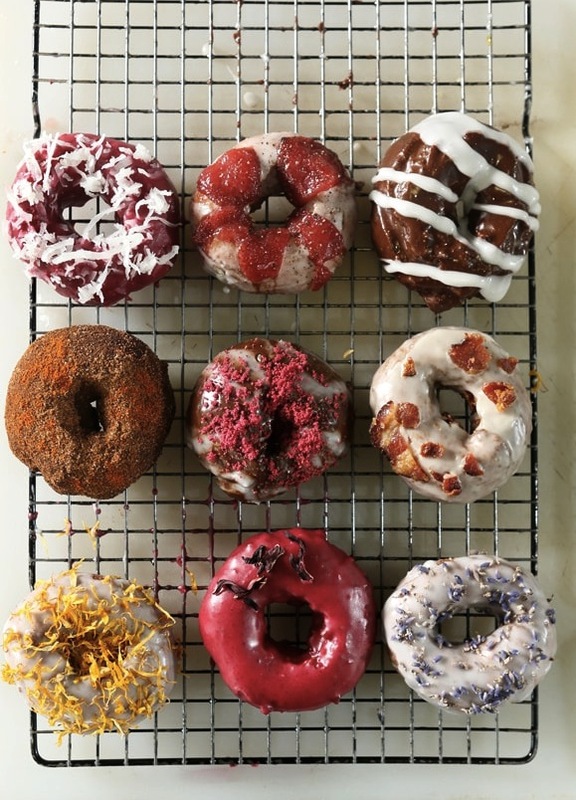 Get a print or digital issue of GFF Magazine, complete with the recipe for how to make a few flavors of Circa’s mouthwatering gluten-free donuts!